The Berimbau cocktail is another original from Favela Cubana in Greenwich Village. It features Velho Barreiro Cachaça, one of the few cachaças exported from Brazil. It has a sweet, earthy, fruity taste. 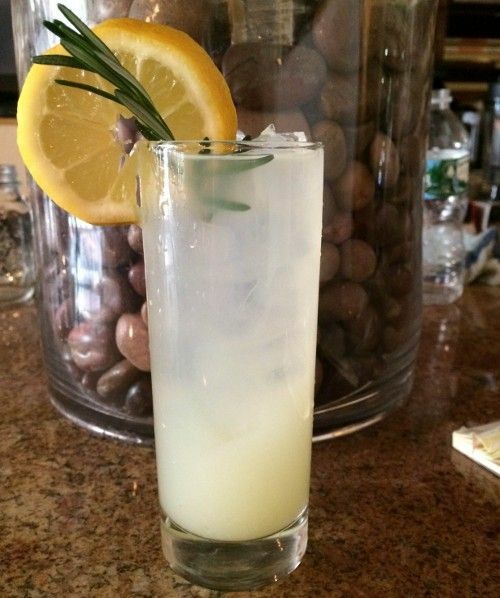 In this drink, the St. Germain’s and simple syrup bring out more of the sweetness, but the muddled lemon and rosemary add tart and herbal notes. Put the lemon wedges in a cocktail shaker with the simple syrup and rosemary and muddle these all together. Pour in the cachaça and the St. Germain’s, and add ice cubes. Shake vigorously and strain into a rocks glass over ice. Garnish with a rosemary sprig.